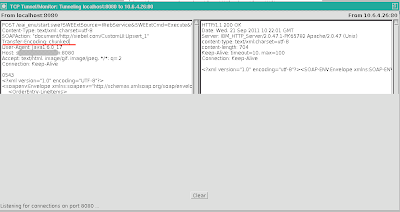 We used to use WebCache as load balancer for SOA 10/11g cluster from the first prototypes. I have to notice that it's the only one component that has no issues for ages. Soб for some reasons we should to reconfigure OiD/OIDDAS server and change the access url for sso and oiddas services. I decided to configure WebCache as a proxy to pass user's request to identity server and vice versa. I've created additional server definitions for ports 80 and 443. Network admins, changed for us DNS and allowed Webcache access identity system by application ports (they are defaults 7777 and 4443). Then, I've created site to server mappings, and voila, the system is ready to manage requests soa11 for a cluster and ldap for user management. After a while, SOA applications admin noticed me that they couldn't see some services, so the process couldn't receive callbacks. The results of the short investigation was - If some process calls web service by the server name for example - http://soa11.telecom/osb/someService - it works fine, if it uses IP address it fails. Gosh, when they start using names instead of addresses! By the way, I have to manage this situation; because even developers immediately redeploy the new versions, there are still be callback messages with direct IP. 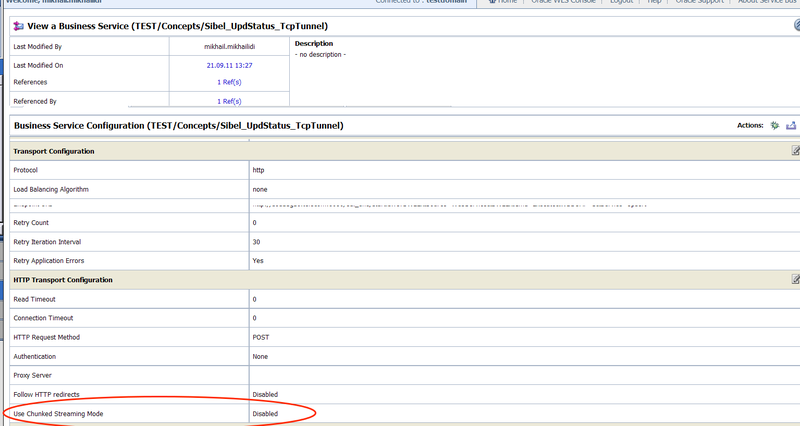 In the last column you can see couple aliases for the site definition. Apply configuration, restart WebCache and now it definitely works. For a last five years I'm involved in a huge SOA project in a telco company. So there were a quite interesting case. We are migrating some helper processes from BPEL 10g to OSB 11g. The main purpose for these utilities to mediate between Siebel services and BPEL process and composites. Error Code: 10944629 Error Message: Error: Missing body length in response to SWE request! 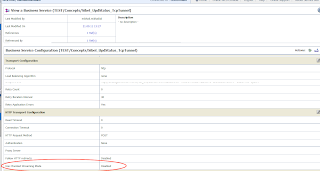 Metalink has a note ID 1301243.1the main idea of this document that SOAP message is sending to the Siebel service with parameter Transfer-Encoding: chunked, so you should change the way of message delivery. Oracle Service Bus has a wide range of parameters, and you able to control almost any aspect of communication between business service and service provider. To do it, i just remove mark in Advanced section of HTTP Transport configuration. Nothing interesting in there, but there are findings, that could be useful for you, my guests. I had to be sure, that we are the source of the issues, and fully realize that. The OSB 11g Cluster runs on two OEL 64bit boxes, on the customer site and I don't want to install JDeveloper or any other IDE only for SOAP over HTTP check. The second point is that I don't want to harvest TCP/IP messages in a log files. 2. Point the Business Service to host with Apache's utility and one of free ports. Let's assume it as 8080. 3. 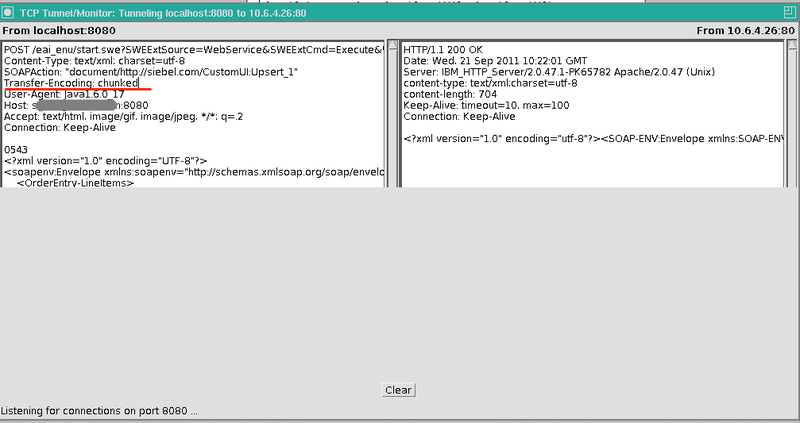 Modify proxy clone, to route on the new business serivce. We easily can see the transport information and SOAP messages. 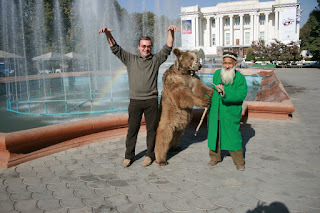 How to train your bear. If you want to be scare, you should do it like me!